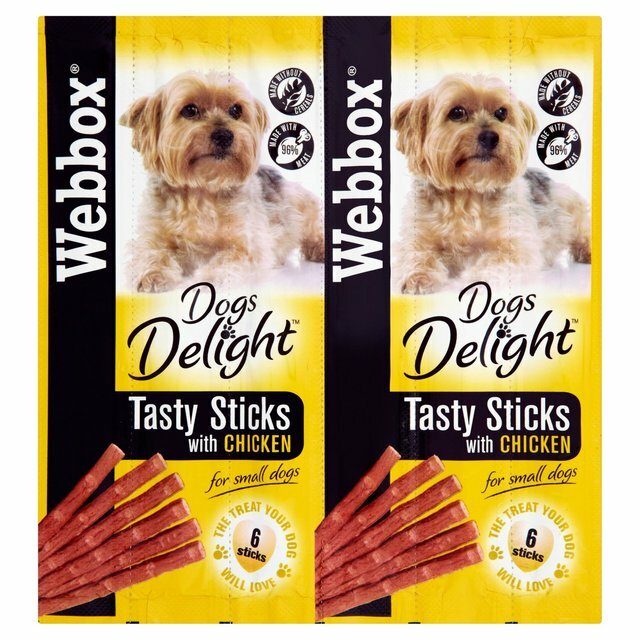 Webbox Chewy Dogs Delight Dog Sticks are a complementary treat which has been gently cooked to produce a delicious, moist, meaty treat your Dog will love. 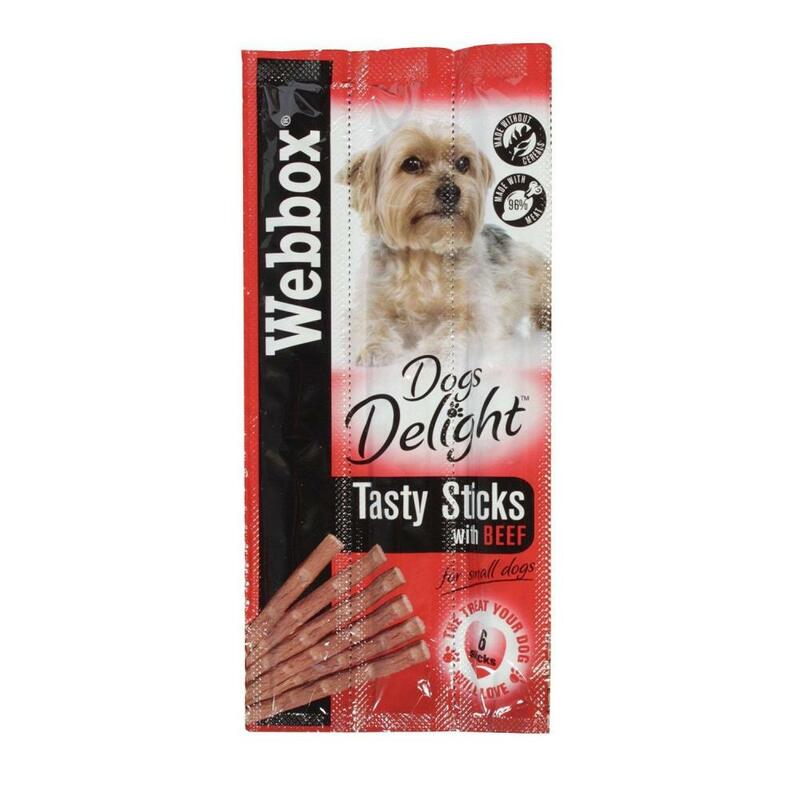 Each treat stick is individually wrapped for freshness. Meat and animal derivatives (6% beef), minerals. Meat and animal derivatives (6% chicken), minerals. Crude Protein 31%, Crude Fibre 2%, Fat Content 22%, Crude Ash 9%, Moisture 27%. 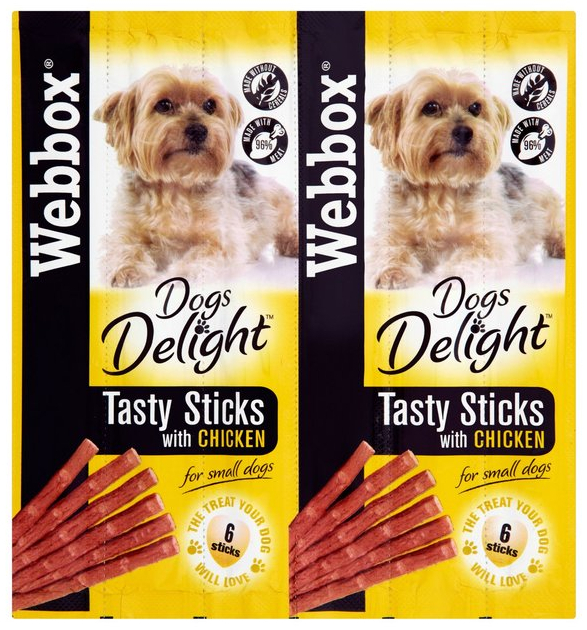 There are currently no questions for Webbox Delight Tasty Dog Sticks - be the first to ask one!